Response from Charles Tyrwhitt: At Charles Tyrwhitt, we aim for all of our products to be of the highest quality so it certainly is a shame that your socks are showing signs of faults after only two washes. We would like to make this right and restore any lost faith, so we'd be happy to arrange for a replacement pair to be sent. 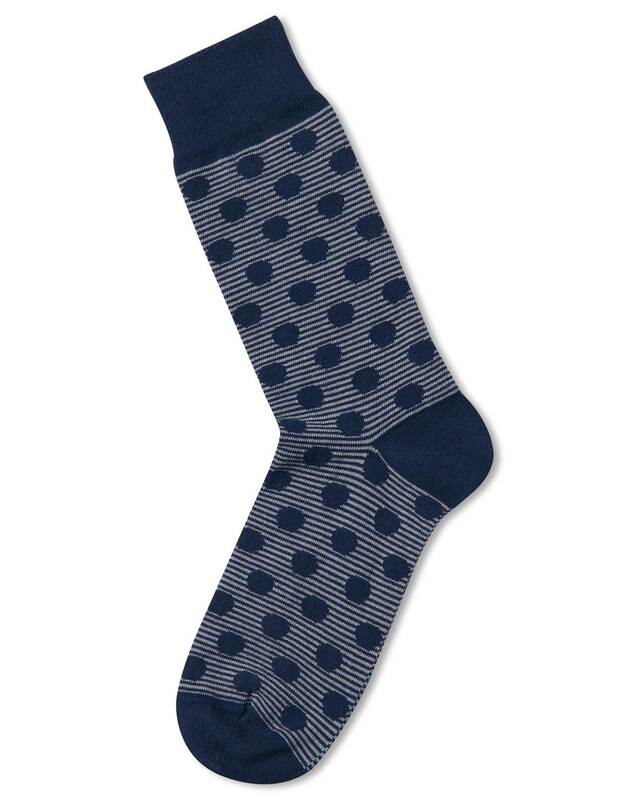 This would be for both the Navy and grey stripe spot socks and Navy and blue octagon socks that have not met with the quality you'd expect from us. Please do let our customer service team know if you would like to arrange a replacement or refund- whichever is preferred, of course.